The ground floor room off the main gym room was originally a fives (squash) court. This was altered in1920 to create a changing room for gymnastics and football. By the 1970s the room was used for weightlifting and body building. It stopped being used by 1984 but retained all the pictures and equipment, some dating back to the 1950s and 1960s. In 2003 a live BBC 6 Music programme was held at the club to mark 25 years since the release of The Smiths “Hand in Glove” A group of fans were invited to the event. Leslie Holmes outlined his idea for the weightlifting room where fans could leave pictures or messages to mark their visit. 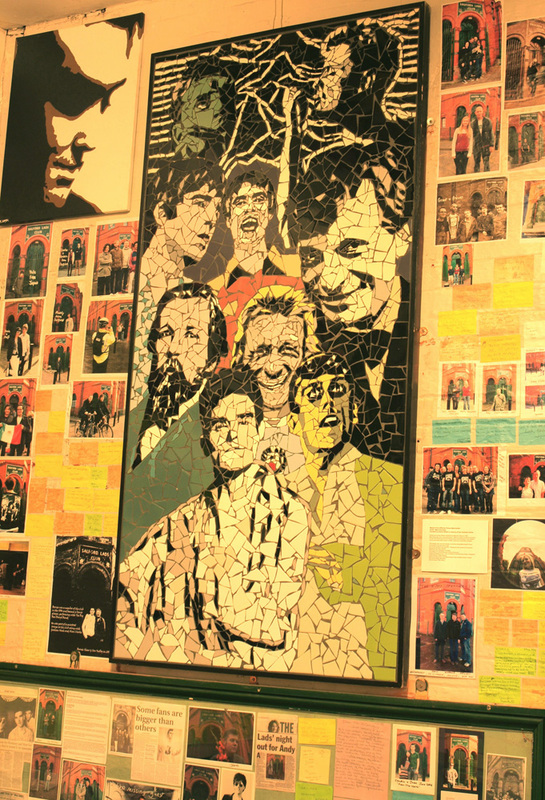 The Smiths Room is open for visitors throughout the year, please contact the club by email to arrange a visit. The room is also open for the clubs open day events and as part of Heritage Open Weekend in early September. 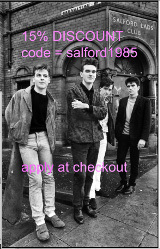 Visits are also arranged by Manchester Music tours. Leslie Holmes would like to thank the following people for their help and contributions to the Smiths Room, Damian Morgan, Stephen Wright, Mike Joyce, Hugh Clarke, Kevin Lloyd, Anthony Ball, Phil Gatenby and the volunteer workers at the club.